Rising up from Surrey, B.C. 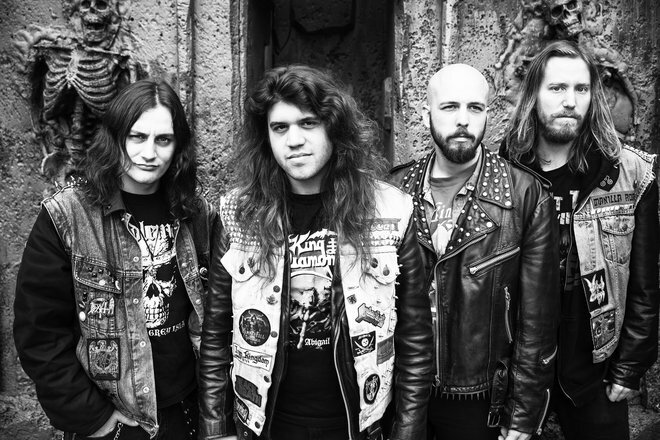 Canada, Iron Kingdom is leading the charge of the Rising New Wave of Traditional Heavy Metal Movement. Inspired by the legendary pillars of Heavy Metal such as Iron Maiden, Judas Priest, Blind Guardian, The Scorpions, and Rush, this four piece machine are bringing back the classic sounds and foundations of 70s and 80s Metal. 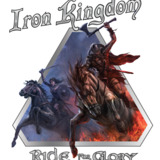 Iron Kingdom was formed in 2011 by Chris Osterman, along with Leighton Holmes and former drummer Amanda Osterman. The band is well known for their energetic and electrifying stage presence, as well as intricate musical melodies. Chris brings star power and provides some exhilarating guitar work along with hair splitting multi-octave vocal range. Bass guitarist Leighton Holmes brings a poetically dark lyrical style and oversees the bottom end creating a tight rhythm section with his classic finger style playing. The band released their debut album ‘Curse Of The Voodoo Queen’ on December 14, 2011, featuring past members Jordan Wright on rhythm guitar and Amanda Osterman on drums. Jordan Wright left the band, after the albums completion and before its release, and was replaced by Kenny Kroecher in the fall of 2011. Kenny Kroecher added the excitement of duel lead guitars and intricate guitar rhythm work as an excellent compliment to Chris’ guitar style. In 2013 the group entered the studio again to record their 2nd full-length release titled ‘Gates of Eternity’ released on April 26th 2013. The four then spent some time on the road, heading through Canada, Western USA, and onward to Europe. The European leg included shows in Germany, Poland, The Netherlands, France and the United Kingdom. The gigs in Germany included a performance at the iconic KEEP IT TRUE XVII festival. Thus creating some major momentum as now Iron Kingdom were spreading their moniker far and wide in support of the first two releases. 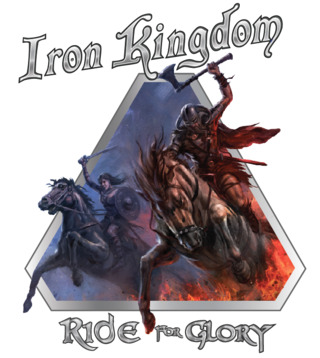 On July 30th 2015 Iron Kingdom released not one but two more albums, ‘Ride For Glory’ their 3rd full length album, as well as ‘Unleashed at the Kraken (Live in Seattle)’ a live album recorded on a previous tour. The band set out on tour again in support of the two new releases. The tour was unfortunately riddled with many trials, including a vehicle accident that almost killed the band members. Following the tour, Amanda decided to focus on other things in her life and stepped back from the band to pursue other commitments. Leaving the door open for new members. Iron Kingdom will soon be ready once again to take the world by storm, and lead the revival of the mighty and classic sounds of Traditional Heavy Metal.